If you are interested in design and you would like to design some shoes then go to this website as they offer some software which will allow you to design your own shoes and the software is completely free for your own personal use. Start Rite Shoes is a very popular website to be able to buy childrens shoes from at bargain prices online from the comfort of your home. Browse through the hundreds of shoe products online for both girls and boys. There is also an opportunityfor you to enter a draw to win free shoes for a year by simply entering your email address. 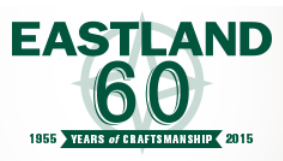 Eastlands have been offering Shoes to both men and women in the US for over 50 years and presently have hundreds of stores all over the country. On their website you can view and buy their products and locate a store near to you. They also hold a weekly draw where you could win a pair of free shoes, see their website for more details. At The Creating Keepsakes website you will find instructions on how to make your own paper shoes which you can use as an ornamental object or use it as a container for a gift. You can download the template which you will need to create the shoes for free from the website then just simply follow the instructions on the webpage to create your own shoes. If you are looking for some bargain priced shoes and you are in USA then you should take a look at shoes.com as they have a huge selection of shoes, boots and sandals to choose from and they are offering free shipping on all orders.